The twin sisters Miranda and Elektra Kilbey-Jansson are returning with their second career album under the name of Say Lou Lou: Immortelle. Of both Swedish and Australian origin, the duo has witnessed a quick ascension after the release of their first album, Lucid Dreaming, published in 2015, but they felt like they had lost their creative independence throughout the critics and media exposure. They decided to isolate themselves from Stockholm or Sydney to settle in Los Angeles for some time to progressively arrive to the creation of the album we now have the pleasure to listen to. Under their own personal label called à Deux, and part of Cosmos Music Group, the long play was officially born on October 26. Made up of only seven songs of four minutes or more, the sisters describe their album as an exploration of the “powerful and dynamic female psyche.” Featuring a rather synthpop style vaguely reminiscent of 2000 pop, the band differentiates itself with its unique voice display and contemplative melodies. More minimalistic than the previous one in an instrumental point of view, Immortelle also presents what resembles a downtempo genre, playing at the same time on the dream pop fields. We can therefore hear sounds that defy the borders between genres, animated by a long creative process that is clearly noticeable. 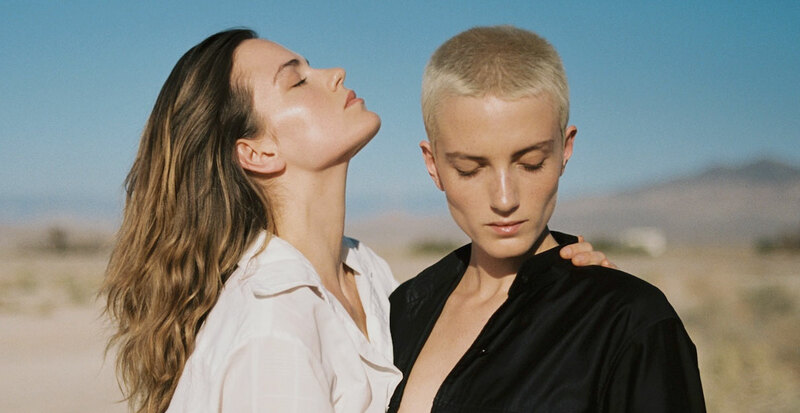 Certainly a story to be followed for all fans of sisterly music or long-time Say Lou Lou supporters! Say Lou Lou est un duo composé de deux soeurs jumelles, Miranda et Elektra Kilbey. Leur musique offre un style dream pop, synth-pop. Leur premier single "Maybe You" a attiré l'attention du label électronique français Kitsuné, qui a publié la chanson en 2012 et qui a essentiellement lancé la carrière du groupe. Elles crée leur propre label “À Deux” et sort leur premier album “Lucid Dreaming” en 2015 et leur deuxième album “Immortelle” en 2018. Elles ont sorti leur premier album Lucid Dreaming sur le label Cosmo Music.